Around 1963. 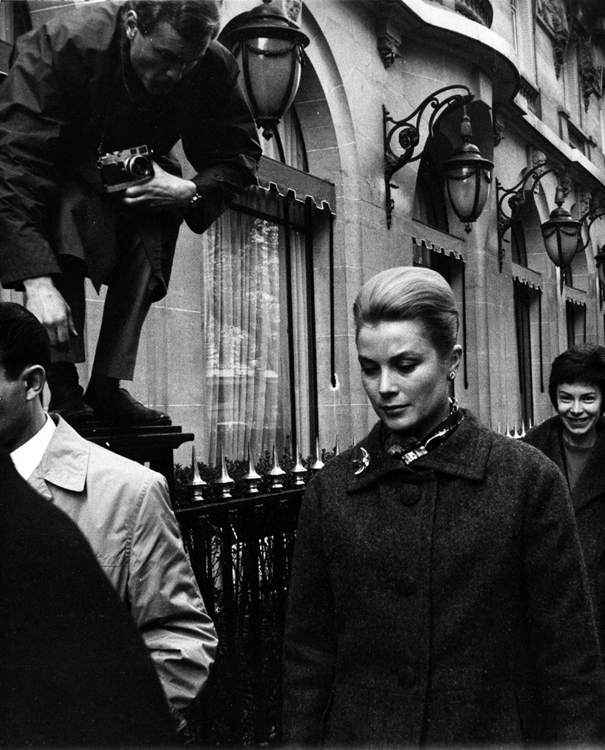 Just walking down the street, Princess Grace of Monaco has to endure the antics of the paparazzi. The woman behind her might think it’s a laugh, but the Princess’s expression says otherwise. Photo: Reporters Associés.